In Fullmetal Alchemist, the characters Edward Elric, Riza Hawkeye and Winry Rockbell all have blond hair. But in the upcoming live-action film, only two of them do. Winry, instead, has brown. Here’s how Winry’s locks compare. Some fans seem baffled. Why only change one of the characters with blond hair to brown? 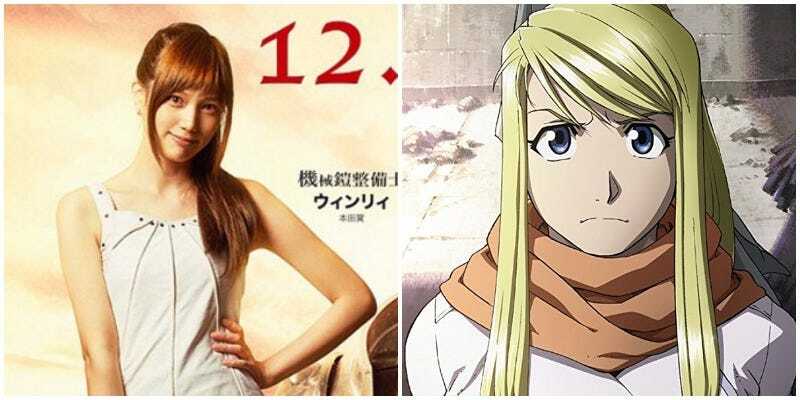 Perhaps the filmmakers thought Winry having brown hair would be a way to make her stand out in the movie?